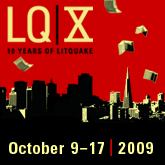 Today I’m preparing for my reading tonight at LitQuake’s LitCrawl. 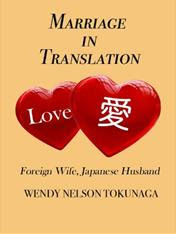 I’ll be reading from my forthcoming novel, Love in Translation, and I’m excited to be a part of this great literary tradition in San Francisco. We only have 5-6 minutes to read and this makes total sense; it’s hard for an audience to concentrate on a passage much longer than this, especially when there are other writers slated to read as well. When I’m given the chance to read from my books at events I find it hard to find just the right excerpt that will interest listeners but won’t require a long set-up to get them acclimated. This is the most difficult part for me. I know some writers do not relish reading out loud, but I do enjoy it. Sure, I get a bit nervous, but I find it fun to try and bring my writing to life in this way. And it’s always interesting to see how the audience reacts. Maybe I like reading out loud because it is a big part of my writing process. After the pain of writing brand new material and then the pleasure of revision (yes, I know I’m weird), I always read every page out loud and more than once. By doing this I have been alerted to plot holes, wrong word choices, grammatical errors, character inconsistencies and on and on much more than when I read my work in silence. It also helps me define the rhythm and phrasing of the prose much like I do when I’m singing, which hopefully will give it that extra punch. So whether your potential audience is only your cat or a roomful of people, you may want to practice reading your writing out loud from time to time if you haven’t tried before. I think you will be pleasantly surprised at the insight you will gain and how it can enhance your writing process. When editing our books, dh and I read them out loud to one another - amazing what we found. I also did this on the job when a SF client required we read their work out loud as part of the copy editing process. But you know what? I don't do it on a regular basis, and you've inspired me to do it more often. Thanks, Kathy. How interesting about that copy editing process. I've never heard of that.